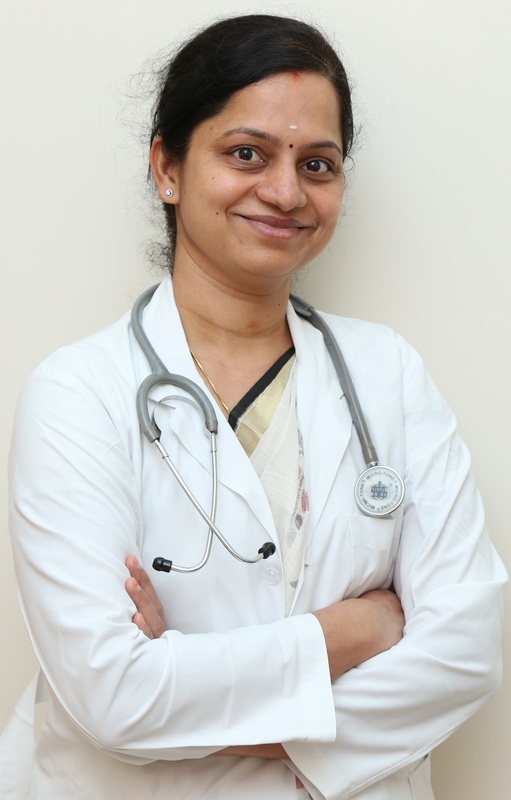 She has Completed M.B.B.S from Stanley Medical College, Chennai (1998 – 2004), DGO from Madurai Medical College (2006 – 2008),Completed DNB (Obstetrics and Gynaecology) at GKNM Hospital , Coimbatore (2009 – 2011) Fellowship in Reproductive Medicine at CIMAR Hospitals , Kerala (2013 – 2014). DNB Registrar in GKNM Hospital,Coimbatore (2009 – 2011). Junior Consultant in Aravindan nursing Home,Kovilpalayam (2011 – 2013). Consultant Obstetrics & Gynaecologist in KMCH Kovilpalayam Hospital Coimbatore from 2018 onwards. Best Outgoing Student in DGO (2008) Madurai Medical College.